SecureDigital or CompactFlash? Which is better and why? Should I format in the camera or computer? I've shot 999+ images but my folder number is still 100. What gives? Does using a slower card in the second slot slow the buffer clearing? My mirror is stuck up. Can I fix that? What does tested to 150,000 shutter actuations mean? How do I find out how many shutter actuations a camera has? I'm Offended; Why Do People Call the D3300 Entry Level? What does frames per second actually mean? What Lenses are Supported by Auto Distortion Control? What Picture Control Should I Use? Why Won't My D3s Tether with Lightroom? How do I preview a pano before stitching it on a DSLR? For video do I want 1080 or 720? 24 fps or 30 fps? I've been asked to shoot a friend's wedding. 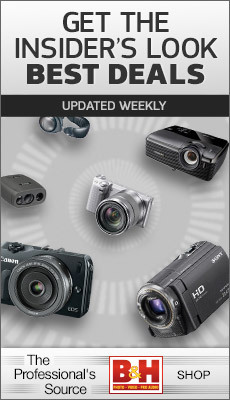 Which camera should I get? I use a bubble level. Why aren't my images level? Why is my viewfinder image out of focus but the picture isn't? My camera won't operate. All I see is a blinking low battery indicator. Does VR work while recording video or using Live View? There's something stuck to my mirror. How should I clean it? How do I remove an insect I see in my Viewfinder? Are Nikon Cameras Okay to Use in Rain? What Cameras Qualify for NPS? Should I shoot JPEG Small instead of JPEG Large? Does the white balance setting impact raw files? Why does the green channel go up in a UniWB file? What's with the dispose of in 10 years symbol on my camera's label? What's with long exposures using the intervalometer? Should I cover the logo on my camera with black tape? Can I get a buffer upgrade for my DSLR? Why do my JPEG images come out slightly smaller than my raw images? My camera just stopped focusing. What do I do? Why shouldn't I just always shoot in Program mode? How do I set two functions when I only have one button? If DEET is detrimental to plastic, what should I do? Has the Nikon firmware been hacked yet? Which Camera Settings Apply to NEF? To JPEG? What lens should I get to shoot children's sports? What's better than the 14-24, 24-70, 70-200 combo? What type of photography would require a 50mm lens? How do I estimate the focal length I need? Should I buy a third party lens for my Nikon body? Why does my 18-200mm not seem like it gets to 200mm? Do we still need fast lenses with great high ISO cameras? Which VR Nikkors detect when they're on a tripod? When should I use VR? When should I turn it off? How many lenses has Nikon made? Can I use Nikkor lenses on other cameras? What's the difference between all the 50mm lenses? Why can't Nikon make a stable tripod collar? Why do some lens tests disagree? Will we get sensors that outresolve our lenses? Why does my lens focus past infinity? How do I correct the back focus my lens produces? How do I manually focus lenses with current DSLRs? I've got a small scratch on my lens. Is my lens worthless? I just dropped my new lens in the ocean, what should I do? Should I get the 16-35mm, 17-35mm, or the 14-24mm? Which of my lenses should I take to Yellowstone? My 105mm f/2.8 Micro-Nikkor won't go to f/2.8! I'm going to shoot a volcano. How do I clean my lens? Which filter should I buy to protect my new lens? Where is "Focus" Measured From? Doesn't Slow/Rear Sync cause blurred shots? Can you make flash simple for me? How do I set Standard TTL on consumer Nikon DSLRs? Should I keep the white card out when I bounce flash? What's your recommended flash mode? Why is -1.7 stops the right flash compensation value? My flash is firing randomly. Why? Does AF Assist on the SB-800 work with wide angle lenses? Sure. As much so as any company in business today, I'd say. While they have some modest long-term liabilities, they are manageable. When they've had sales drops in an area, they've been reasonably quick to regroup, restructure, and rebuild that part of their business. The camera side had a long, healthy rise in sales through 2013 with less decline in profit than many in the camera business. The Nikon balance sheet looks reasonable for their size. There are tightly managed at the corporate level, and compared to some Japanese companies, they're relatively lean. They were one of the first to establish quality off-shore manufacturing, and they continue to invest strongly in R&D. None of these things are signs of an unhealthy company. On the other hand, Nikon is about three-quarters a camera company, and the camera market is shrinking (mostly at the lower end due to smartphones) and under considerable pressure. The semiconductor equipment group is likewise experiencing decline. Thus, Nikon will have to be very careful to manage in a non-growth market. One solution they’ve taken to is acquiring new growth businesses, particularly in the medical optics area. As of mid-2015 Nikon is currently profitable and that is predicted to continue for the foreseeable future.